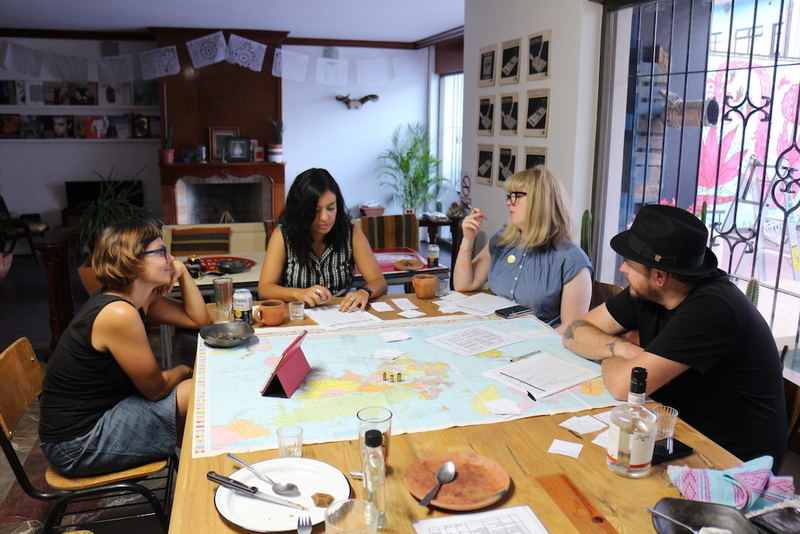 It was in Francistown, Botswana when we first captured the idea of creating a travel board game. Since then, we haven’t done a great progress for a lot of reasons. However, there was always some sort of motivation to remind us that we have to finish what started in a piece of paper almost 4 years ago. In Oaxaca, México was our last game test but we still have a long way to go before starting the production & distribution. The book project was one of the main reasons of the delay but now we have no excuses. 29 people are already reading traveliving | a romantic & practical guide and we feel that steady but slowly we will accomplish one of our main goals of publishing this book; deliver a valuable resource to the people who are dreaming to travel and need a push in the back. The last year, we have realized that through traveliving, we keep ourselves busy and we use more and more our imagination, our skills, and our experiences. At the end of the day, we are more creative and productive not because we have to but because we get the most out of our travels. Eventually, we found ourselves working on small or even bigger projects which are related to our travels -apart from working locally and looking for culture exchange- and we have made some exceptional things that only through traveliving could be possible like the book (which have already finished), the board game (which is actually a matter of finding the resources to manufacture it since the design has finished) and an e-magazine (which will hopefully start issuing the new year). For those who have already got traveliving | a romantic & practical guide, you have probably an idea of what traveliving is about and you can relate projects like the design of our board game or an online magazine with the concept of traveliving.